For those participating in the ever-developing discussion in modern society about the role of traditional morality, The Ethical Navigator is a much-needed guide to the central concepts of ethics. William H. Capitan, through examples taken from pop culture, religious scriptures, and historical documents, provides easily grasped discussions of moral authority. The book demonstrates how today's emphasis on individual freedoms has stripped us of the morality to protect the freedom of society. 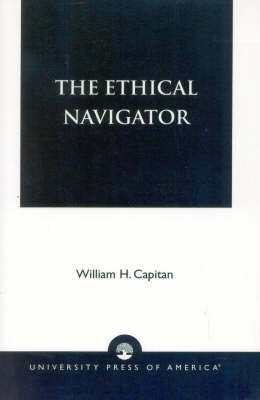 A highly accessible work, The Ethical Navigator concludes with practical ways to re-invest ethics into daily life.